I found this photo taken in 1970. 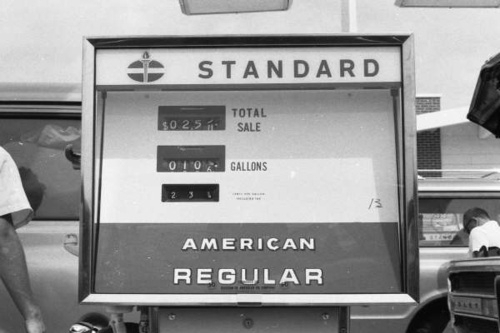 Look at the price of gas. Boy, things have changed. And today, 45 years later, I am typing this to all of you, simultaneously, to be sent out into the realm of cyberspace with a simple push of the button. Again, change. Perhaps David Bowie was more profound than we thought. "Time may change me, but I can't trace time." So much has changed. Outside of us and inside of us. But it is hard, for me anyway, to trace the exact path of all of that change. It seems to have all gone so very, very fast. That being said, I truly feel another proverb is true. "The more things change, the more things stay the same." I feel that with all the changes that have happened to all of us over the past 40 years, there remains something that hasn't changed. It's the constant that remains the same. The love of old friends. And the love of old memories And the remarkable reality is that old memories and old friends can connect in an instant. And what 40 years has changed can in a moment seem, well, unchanged. 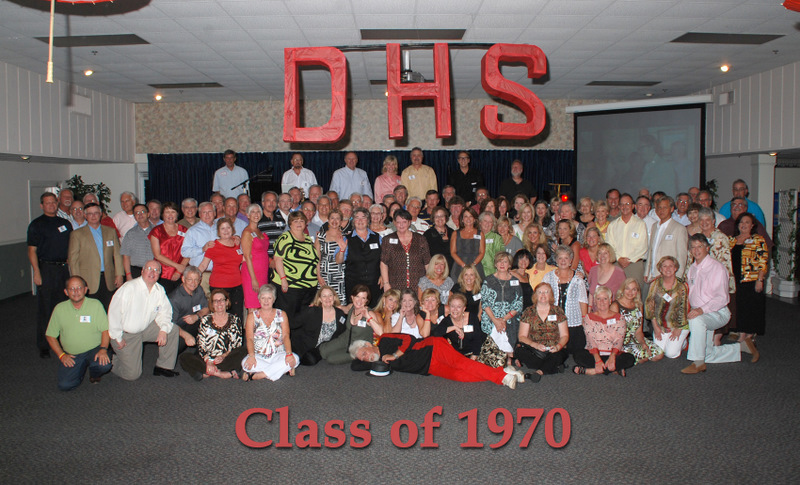 This year is our 45th high school reunion. This summer we have a chance to reunite. We have a chance to embrace change, to embrace memories, but, most importantly, we have the chance to embrace each other. Our reunion is set: Saturday, June 27, 2015. I hope everyone will make an effort to be there. For all of you who have attended the reunions in the past, you know the fun. For those of you who have missed the reunions in the past, give it a whirl. Who knows? The change might do you good. Our 2010 40th Reunion was truly a heart-warming experience. I believe everyone who attended would agree. Time and age had changed us, yet we grew with that change and became better individuals. If you look through the photographs from the reunion, you will primarily see happy, smiling faces with former classmates embracing one another. 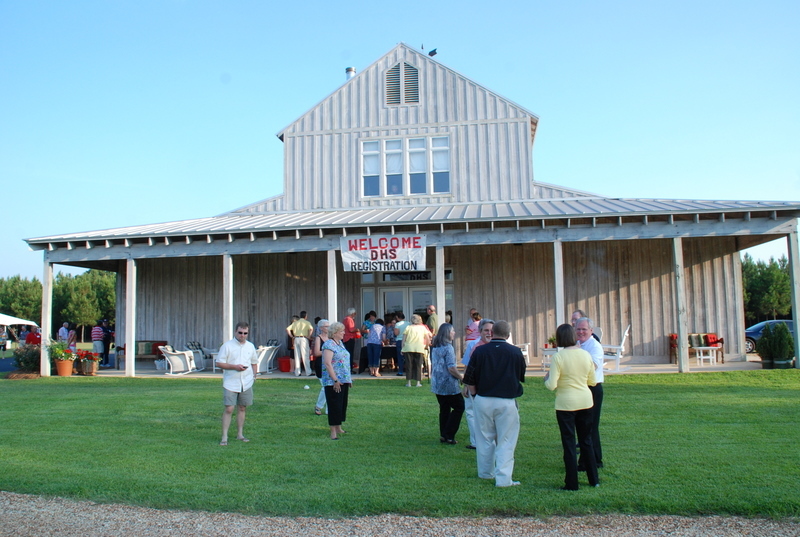 Excitement and anticipation was in the air as each of us arrived on Friday night at Ronald & Ann DeVane’s barn for the first event. Each classmate was armed with a name tag which included our senior photograph and our name. It certainly made recognition a whole lot easier. It is amazing how much you can change (in appearance) in 10 years. We had nearly 200 people attend. Some of this number included spouses and/or dates. Classmate came from all over: Washington State, Germany, California, Louisiana, Texas, Missouri, West Virginia, North Carolina, Maryland, Nevada, Florida, Georgia & of course, other places in Alabama. It was a greatly appreciated effort for the out-of-town and/or out-of-country classmates to attend. Thank you one and all, you know who you are! Your presence at the reunion really did matter! Please take a moment to go to the “Photo Albums” section and look through the reunion photos. Go to the “Guest Book” section and read some of your fellow classmates comments from the reunion. If you were unable to attend the 40th reunion, start making plans now for the 45th reunion in 2015. If you have not put in your classmate profile under the “Classmates” section, please take a moment to do so. I found this photo taken in 1970. Look at the price of gas. Boy, things have changed. And today, 40 years later,I am typing this to all of you, simultaneously, to be sent out into the realm of cyberspace with a simple push of the button. Again, change. This year is our 40th high school reunion. This summer we have a chance to reunite. We have a chance to embrace change, to embrace memories, but, most importantly, we have the chance to embrace each other. Our reunion is set. June 11 and June 12. I hope everyone will make an effort to be there. For all of you who have attended the reunions in the past, you know the fun. For those of you who have missed the reunions in the past, give it a whirl. Who knows? The change might do you good.